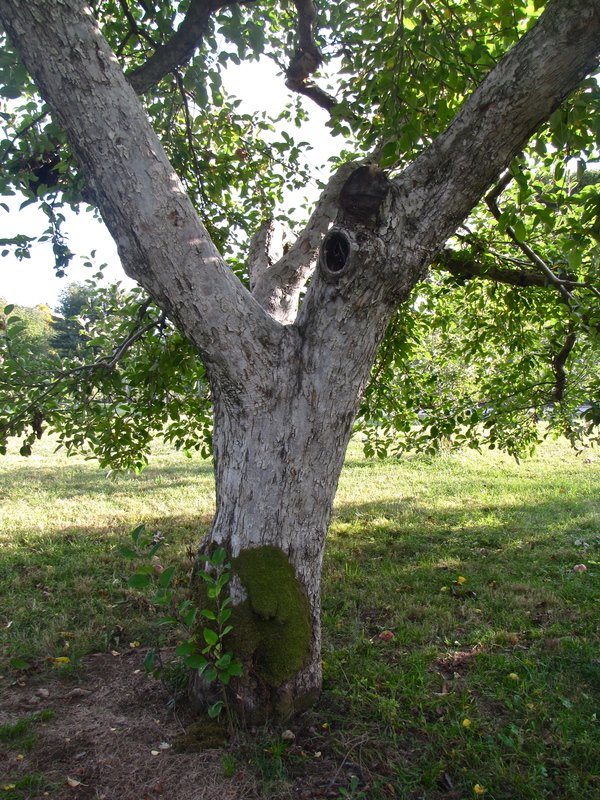 THE 2014 NEW ENGLAND APPLE crop is decidedly uneven. 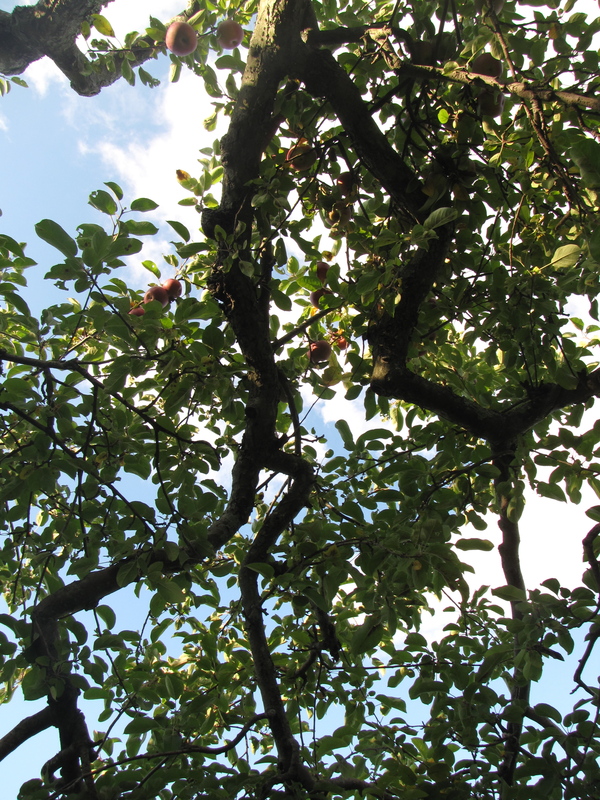 Some orchards have plenty of fruit, some just miles away have been forced to close early after running out of fresh apples. The region avoided major outbreaks of frost damage in the spring, hail in summer, or a fall hurricane, any of which can shrink the crop. 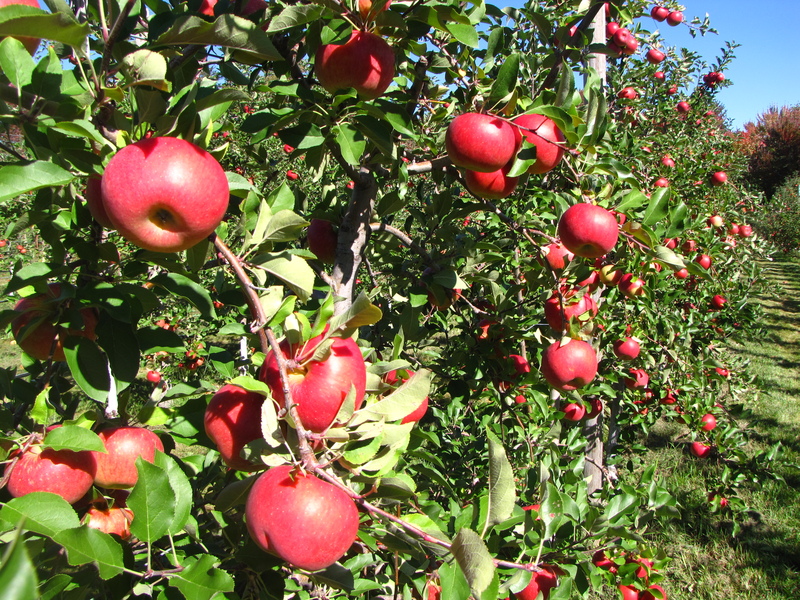 But the 2014 New England harvest is smaller than usual for several reasons, including last year’s harsh winter, which damaged or killed trees in some orchards; spotty pollination during spring bloom, impacting whole orchards or certain varieties; and a larger-than-usual outbreak of the bacterial infection fire blight in all of the New England states except Maine. 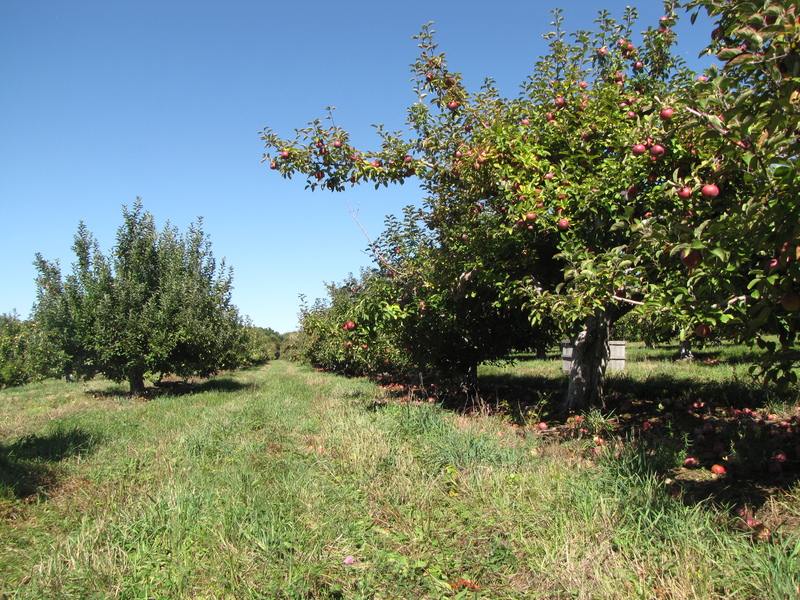 Some orchards are down as much as 60 percent to 70 percent from a normal year. 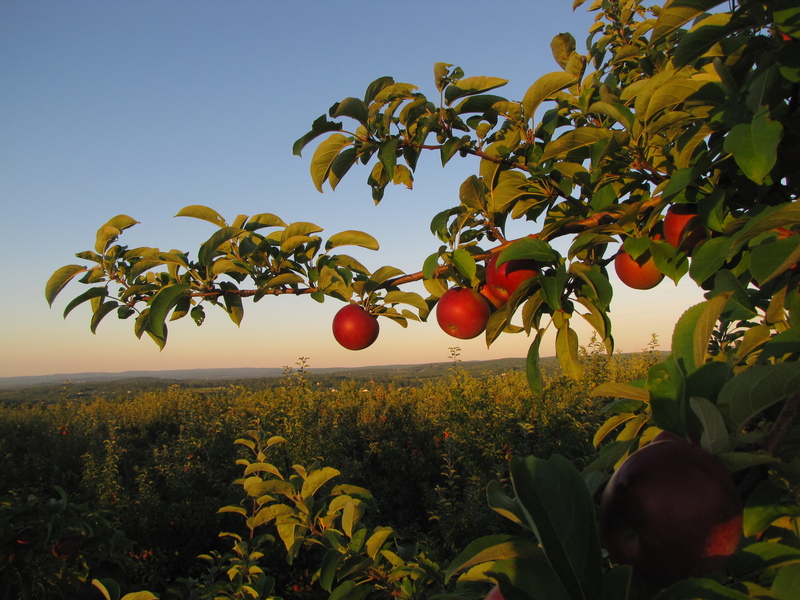 But many New England orchards have outstanding crops. 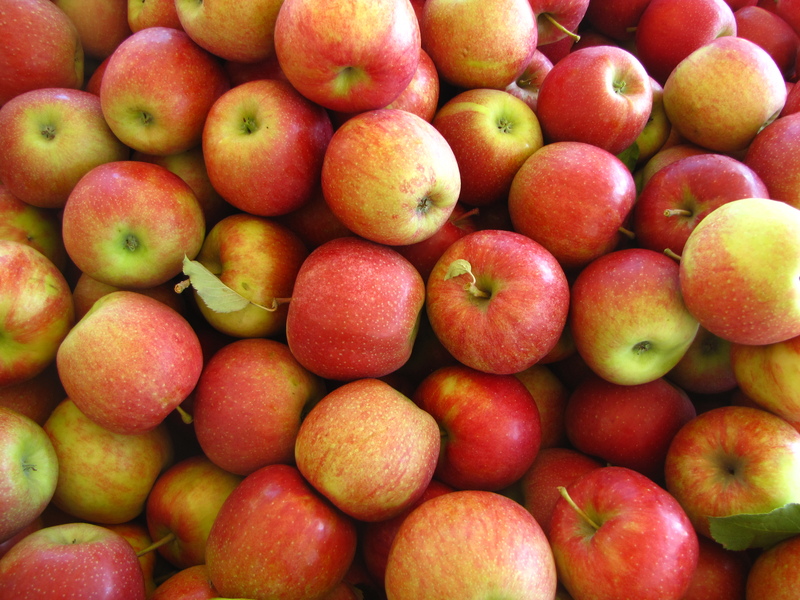 Region-wide, there are plenty of beautiful, delicious apples of all varieties and sizes, a few of which are shown here. 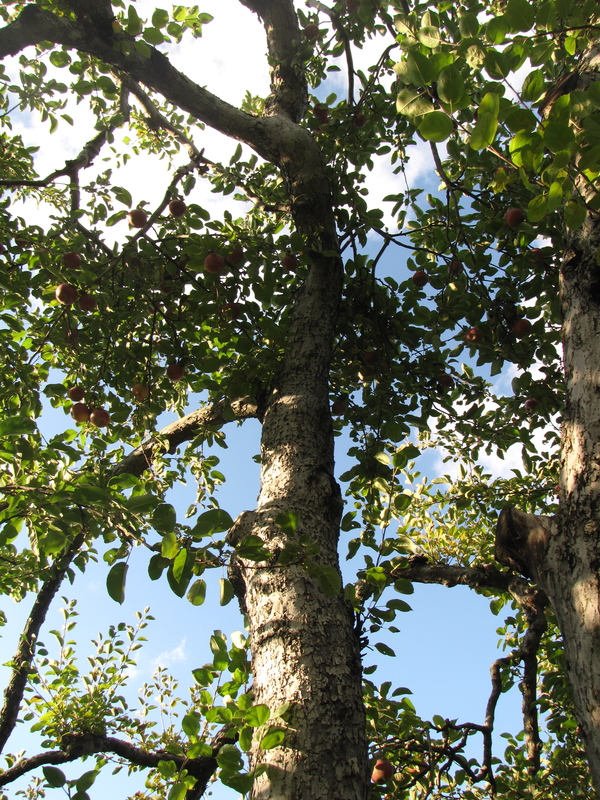 So if you don’t find your favorite apple at your favorite orchard, don’t despair. 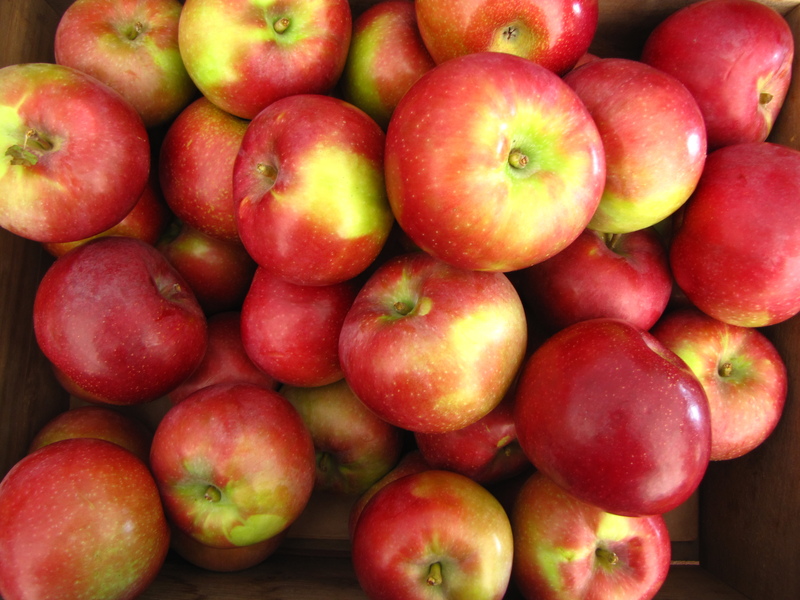 Simply branch out to another New England orchard, or check your supermarket for local apples. Chances are you will not have to look far. 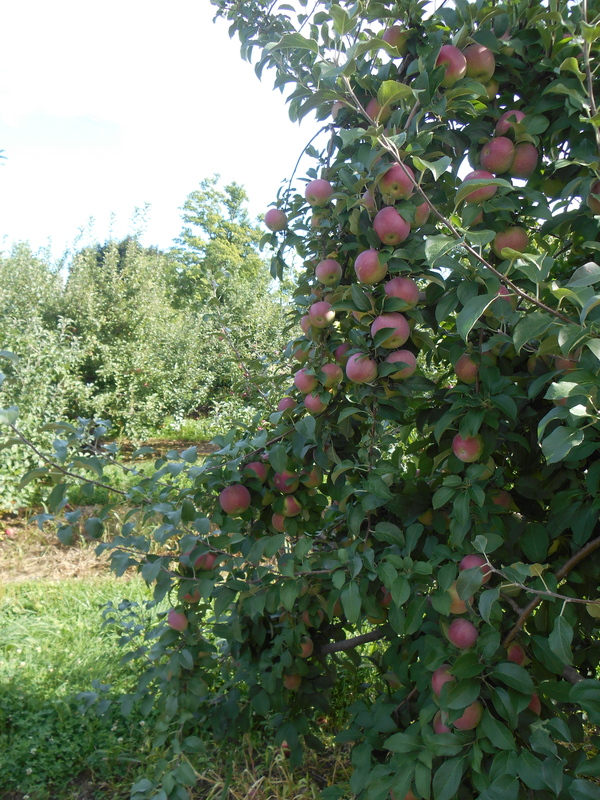 The Massachusetts photographs were taken Sunday, October 5, the Rhode Island orchards Monday, October 6. 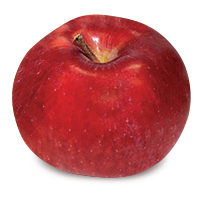 Visit our website, New England Apples, for a list of the region’s orchards and to learn about New England apple varieties and where they are grown. 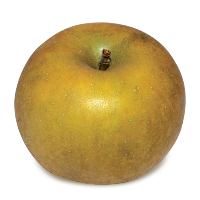 TOPAZ is a disease-resistant variety from the Czech Republic that made its commercial debut in 1990. 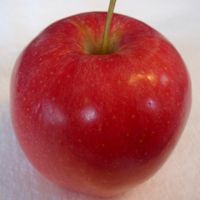 The small but active Czech Republic apple industry has been in the forefront of developing new disease-resistant varieties, including the scab-resistant Topaz and its parents, Rubin and Vanda. 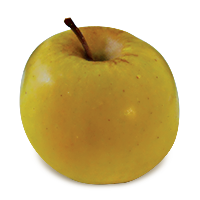 Topaz is a medium to large apple with a red blush over a yellow skin. 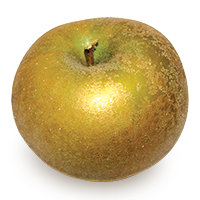 Its cream-colored flesh is crisp, and its flavor, initially more tart than sweet, mellows some in storage. There is a redder strain known as Crimson Topaz or Red Topaz. 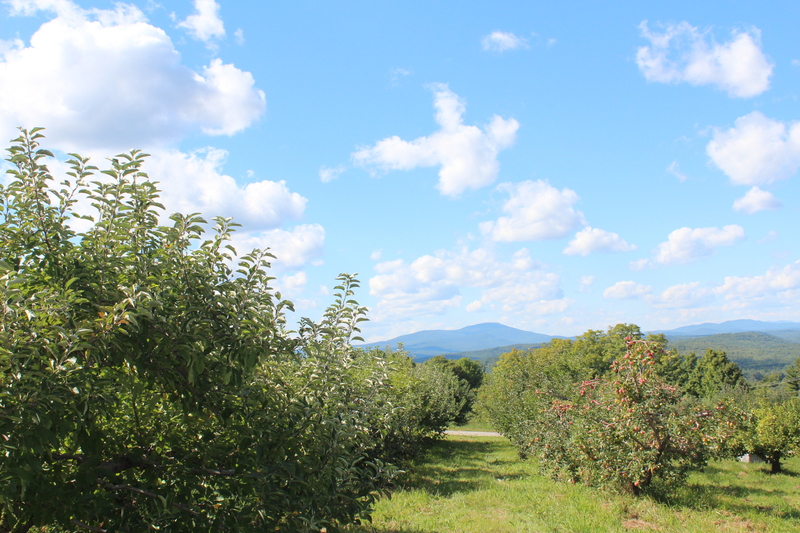 PEOPLE SWARMED to New England’s orchards Sunday like bees to nectar after Saturday’s rain. 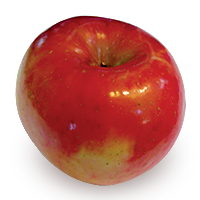 Massachusetts orchards Red Apple Farm in Phillipston and Tougas Family Farm in Northborough are among the many orchards that have outstanding crops this fall. 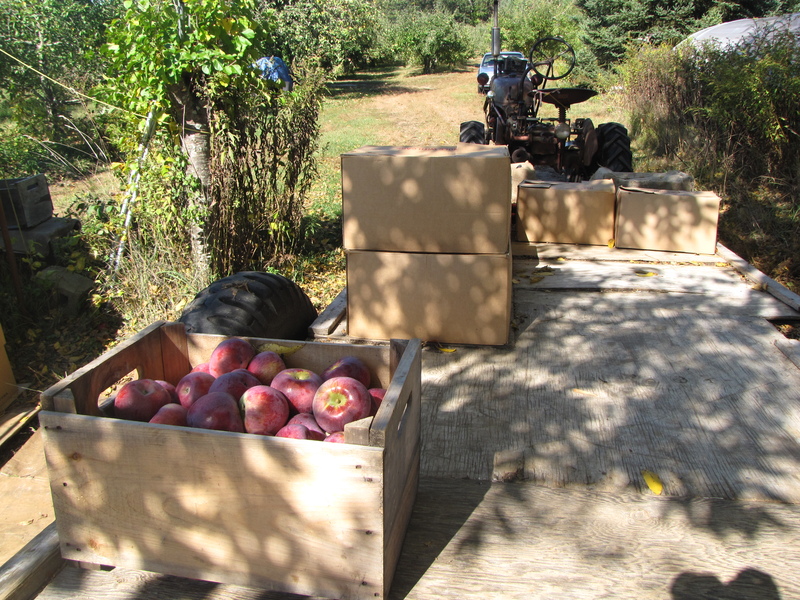 STEERE ORCHARD in Greenville, Rhode Island, is just now harvesting Macouns, more than a week later than usual. 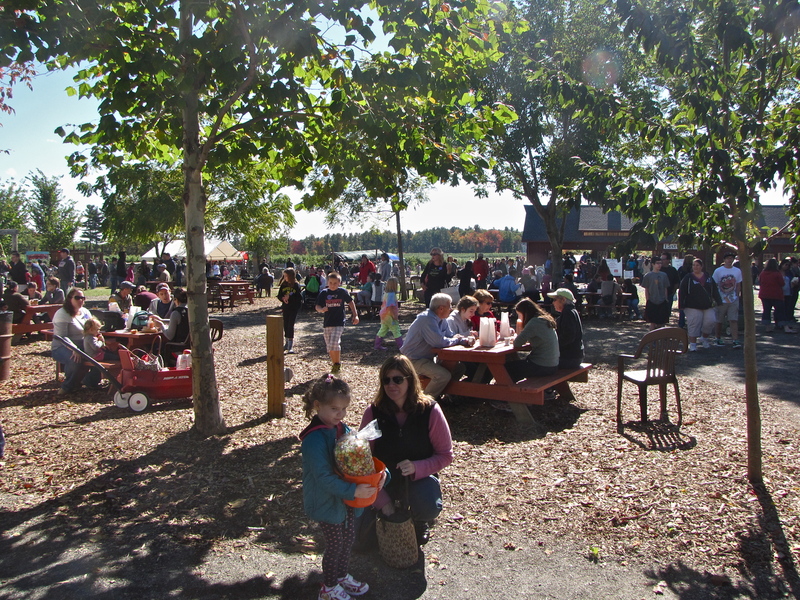 Steere Orchard will celebrate its 10th annual “Applefest” this weekend, Sunday, October 12, and Columbus Day, Monday, October 13, from 9 a.m. to 6 p.m. 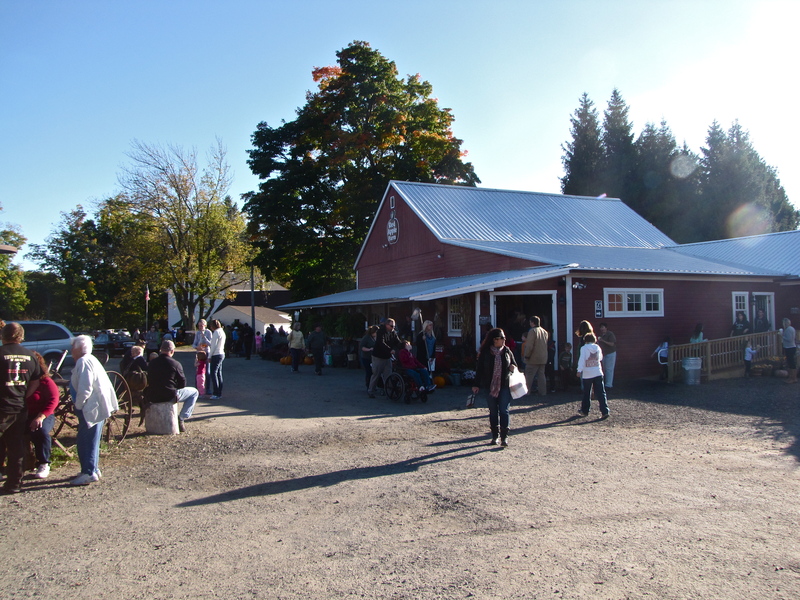 In addition to sampling and picking apples, there will be hayrides, a farmers market, live music, and baked goods. 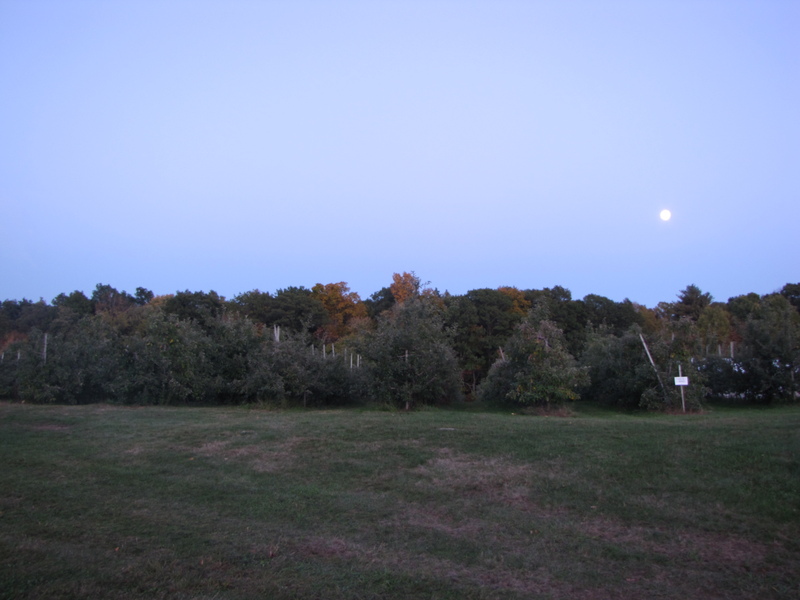 THERE ARE MORE apples remaining on the trees at Hill Orchards than neighboring Dame Farm and Orchard, both of Johnston, Rhode Island. 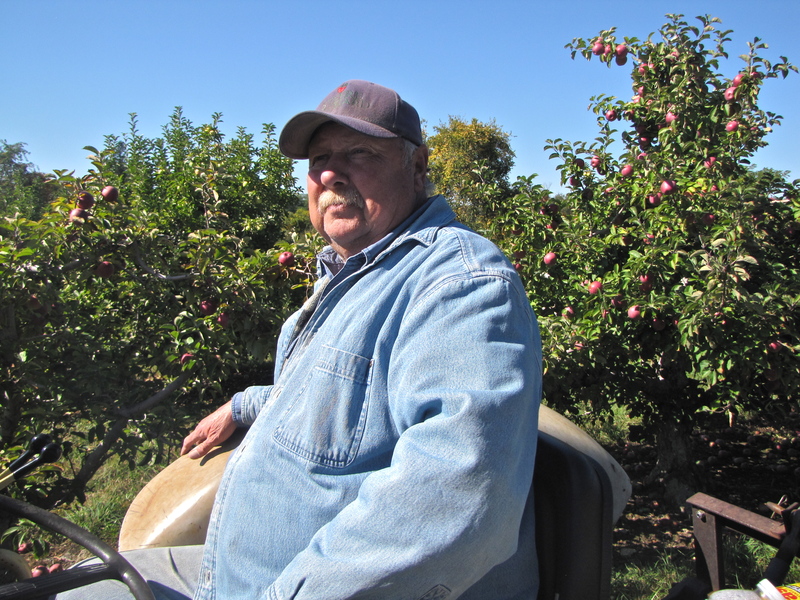 The Macouns are nearly gone at Dame Farm and Orchard, which expects to be all picked out of all varieties by this weekend (there are plenty of fresh apples and other produce for sale in their farm store). 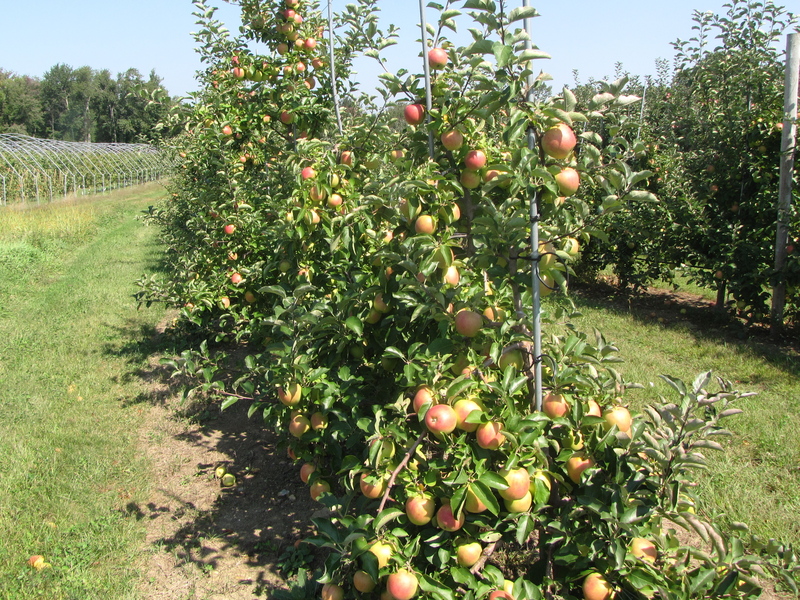 PIPPIN ORCHARD in Cranston, Rhode Island, still has some pick-your-own as well as fresh apples in its roadside store, but it is close to being picked out. Its cold storage room, usually full by now, is half full; even the orchard floor is unusually clean. 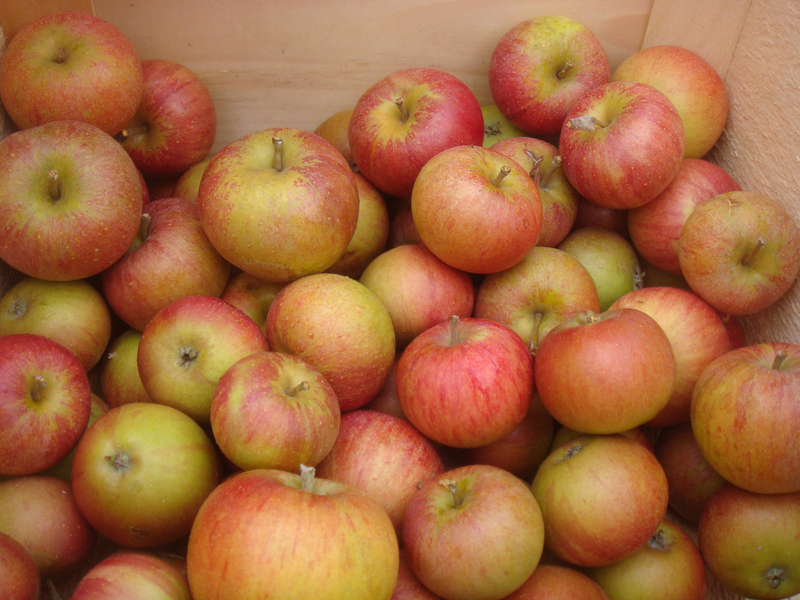 Pick-your-own apples are already gone at Phantom Farms in Cumberland, Rhode Island, but there are fresh apples and other goods for sale in their farm store and bakery. 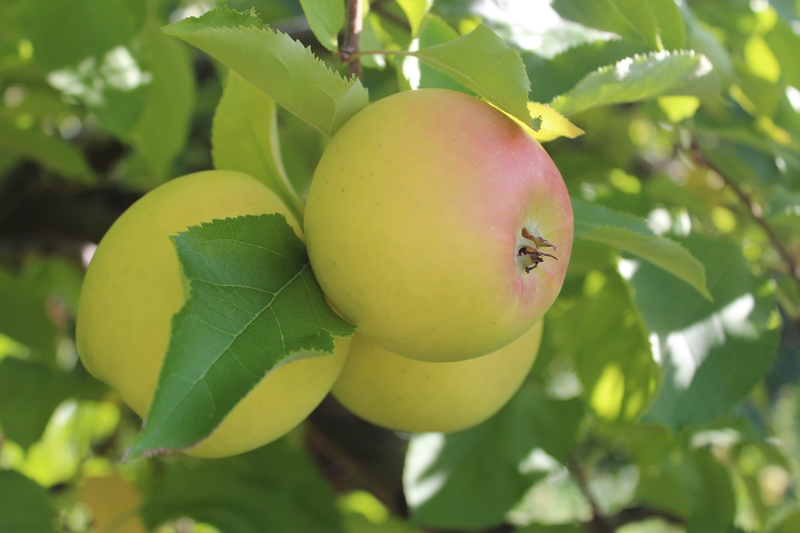 Stripped of fruit, the orchard is still beautiful, fragrant, and peaceful, as Phantom Farms gradually transitions from standard-sized to dwarf and semi-dwarf trees. 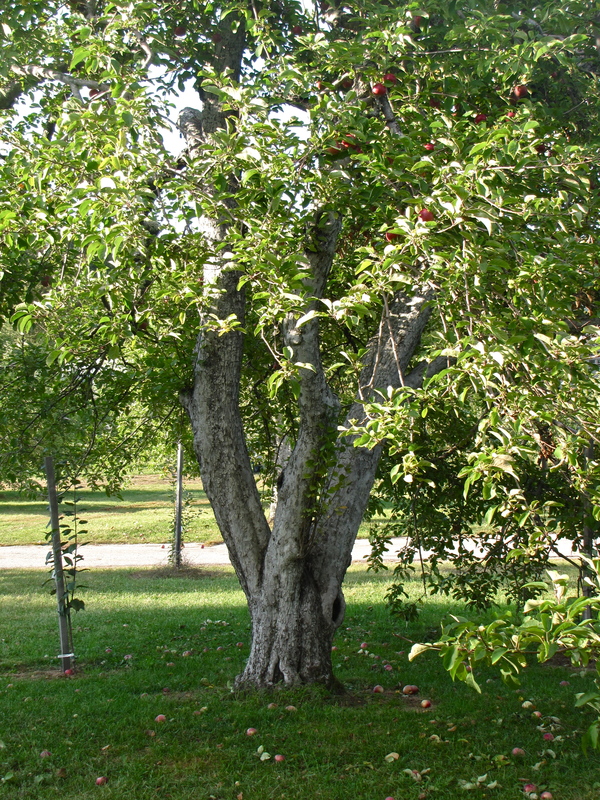 Buell’s Orchard in Eastford, Connecticut, has a good supply of apples. 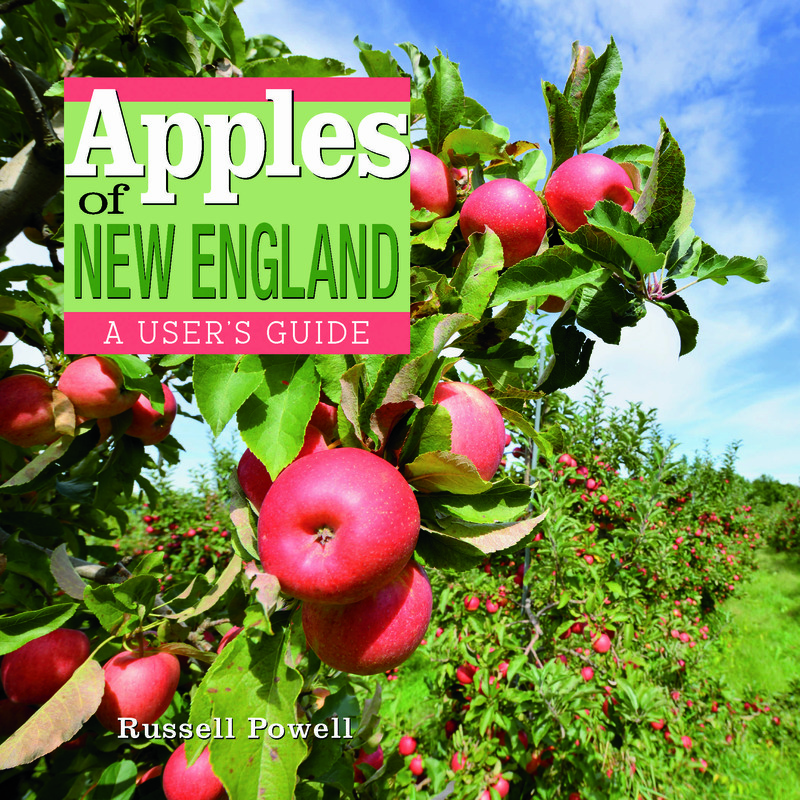 RUSSELL STEVEN POWELL will discuss apples and read from his new book, Apples of New England (Countryman Press), at several sites over the Columbus Day Weekend. 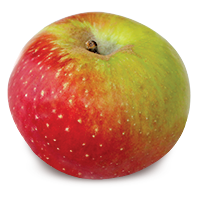 IF McINTOSH were its sole contribution, Canada would occupy a special place among producers of New England apples. 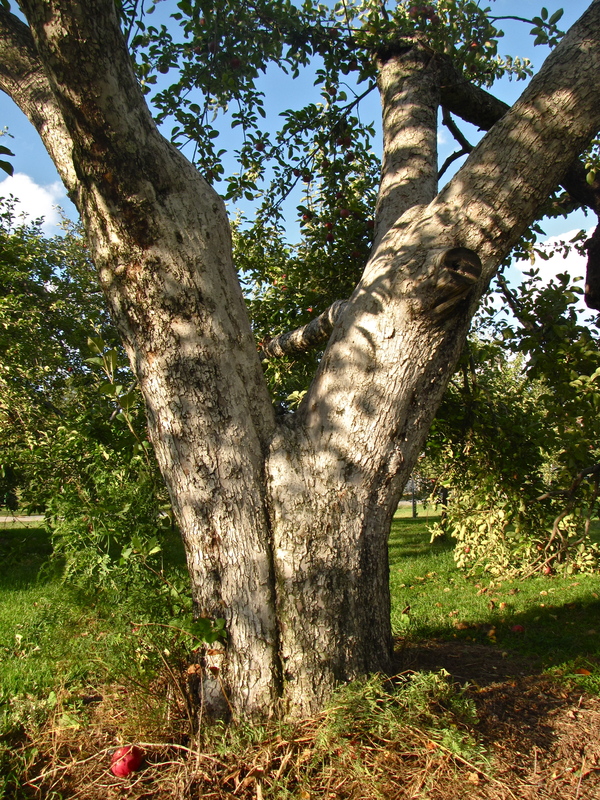 McIntosh has thrived in New England’s soil and climate ever since Dr. Thomas H. Hoskins of Newport, Vermont, planted the first McIntosh sapling in the United States, purchased from the John McIntosh family nursery in Dundela, Ontario, in 1868. 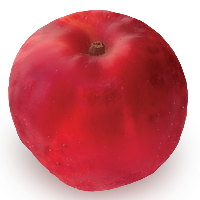 Macs rapidly gained in popularity due to their unbeatable combination of outstanding flavor and hardiness. 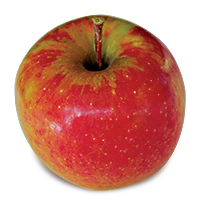 McIntosh has been New England’s leading apple variety since the 1940s, and still account for about two-thirds of the region’s crop. 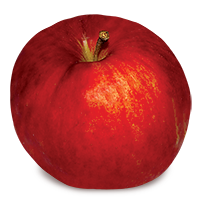 A round, medium-sized apple with splashes of green and red on a thin skin, McIntosh is ready for picking in most locations soon after Labor Day. 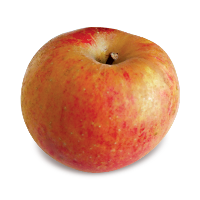 It has white, juicy flesh, is highly aromatic, and more tart than sweet in flavor. It is outstanding for both fresh eating and cooking. Its flavor is superb in pies and other baked goods, and it is often mixed with varieties with denser flesh for a firmer texture, as its tender flesh breaks down when cooked. 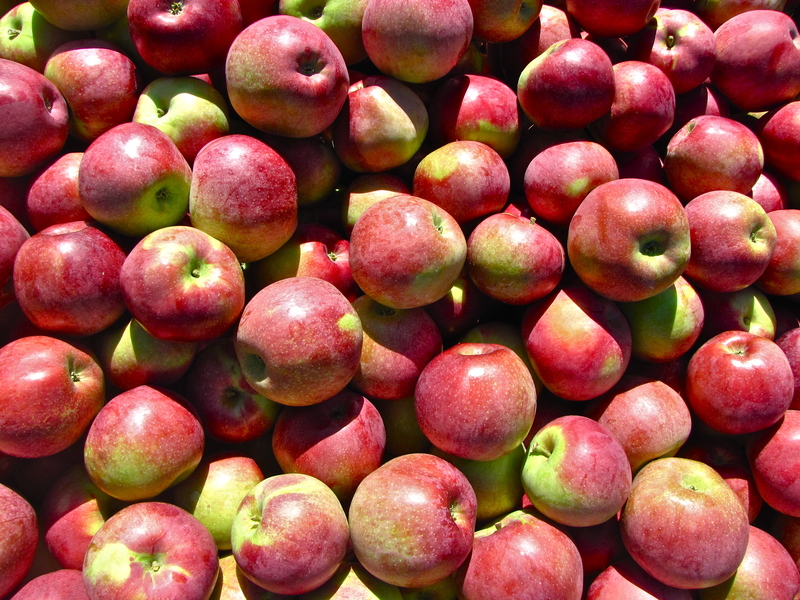 McIntosh needs New England’s cool nights of late summer and early fall to produce apples with the greatest color and flavor, accounting for its success here. 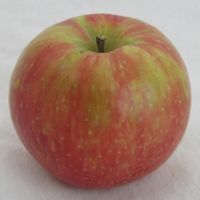 McIntosh’s influence can be tasted throughout the season, as a parent to such popular New England varieties as Cortland, Empire, and Macoun, and redder strains like Marshall McIntosh, Rogers Red McIntosh, and RubyMac. 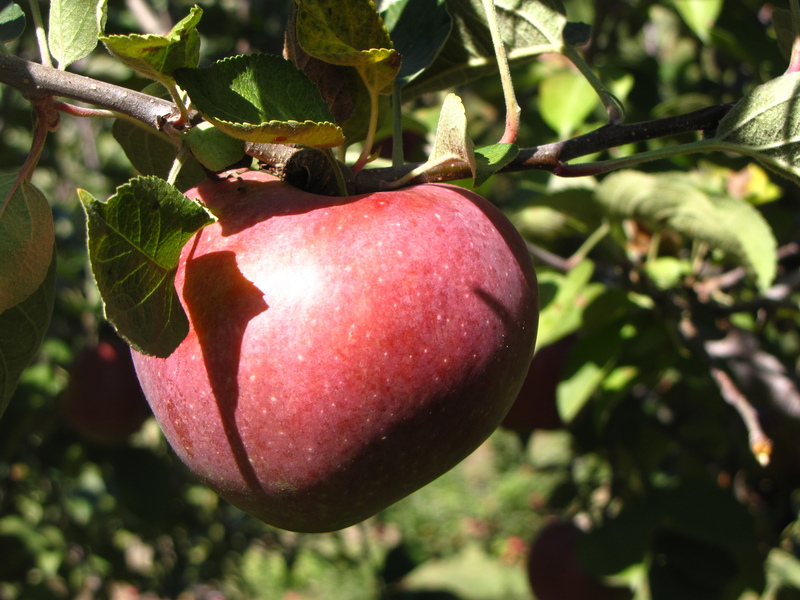 While no other apple can come close to matching McIntosh’s far-reaching influence, Canada has produced a number of other varieties that have developed a niche in New England. These include the heirloom Melba (1898), and newer varieties like Chinook (2000) and Nova (1986). 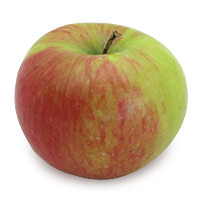 Silken is an early season apple, medium-sized, conical in shape, pale yellow in color with an occasional pink blush or light russeting around the stem. 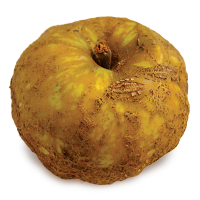 Its tender, cream-colored flesh is aromatic and juicy, and it has mild, sweet flavor. 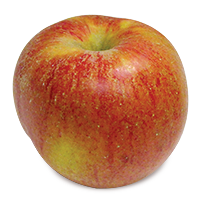 Like many early season apples, it is best eaten fresh, as it has a short storage life. 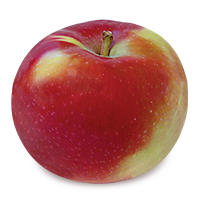 Silken is a cross between another Canadian apple, Sunrise, and Honeygold, a variety from Minnesota. 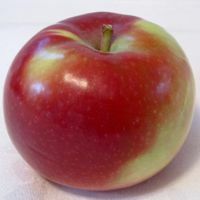 Both of Silken’s parent apples include Golden Delicious in their lineage, accounting for Silken’s sweetness and color (Sunrise’s other parent, incidentally, is McIntosh). Silken was developed in 1982 by W.D. Lane and R.A. MacDonald at Canada’s Pacific Agri-Food Research Centre in Summerland, British Columbia, and released commercially in 1998. 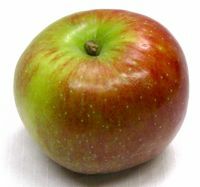 Shamrock is another new apple developed at the Pacific Agri-Food Research Centre. 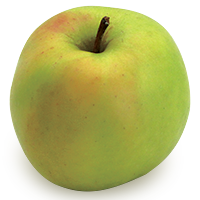 It is a round, green apple, medium to large in size, mostly solid green in color with an occasional pink blush. 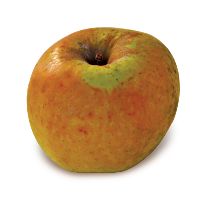 A mid-season apple, its tender, cream-colored flesh is more tart than sweet when first picked, with a finish hinting of honey or butterscotch. Like many apples, Shamrock’s flavor improves in storage, becoming progressively sweeter, spicier, and juicier for several weeks, but its storage life is relatively short. 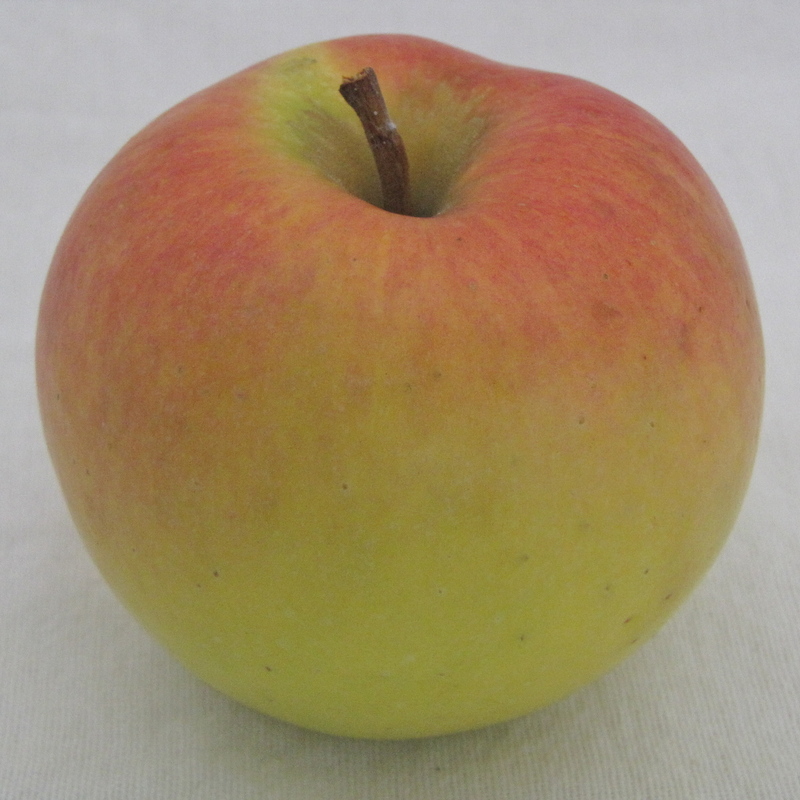 It is a 1992 cross of a Spur McIntosh and Spur Golden Delicious (a spur variety results when an apple branch develops outstanding characteristics that differ in some significant way from its parent tree). 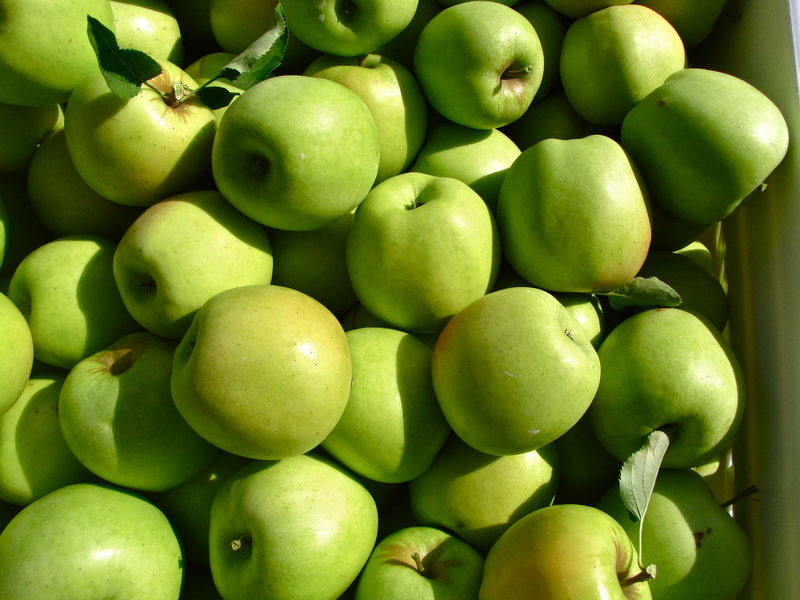 Due to its green color and initial tartness, Shamrock has been promoted as an East Coast alternative to Granny Smith, which requires a longer growing season, or the heirloom Rhode Island Greening, which is difficult to grow. But it has yet to develop a strong following in New England. Creston is even newer than Shamrock, released in 1998. 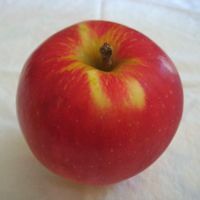 It is a large, conical apple, yellow with a red blush or stripes. 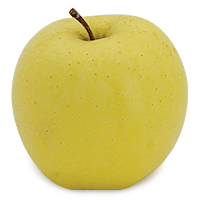 Its yellow flesh is crisp, juicy, and more sweet than tart. 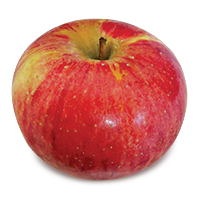 It is a late-season apple that has been compared to Jonagold in flavor, texture, and appearance. But while some say it stores better than Jonagold, others contend that it can become greasy or soft in storage. 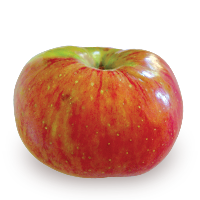 A cross between Golden Delicious and an unnamed seedling, Creston was developed at the Pacific Agri-Food Research Centre. 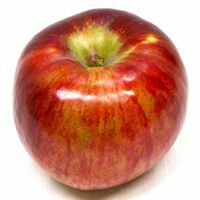 In addition to these recent entries, Canada’s apple-breeding program has been developing varieties that have been grown in New England for nearly a century. Spartan was discovered in 1926 and released a decade later. 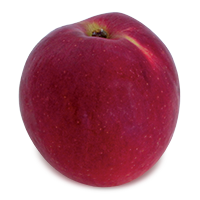 It has dark, plum-red color, and tender, aromatic white flesh beneath a somewhat tough skin. 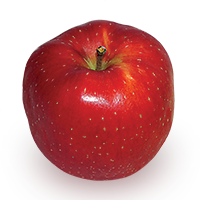 Its flavor is more sweet than tart, with hints of strawberry and spice. 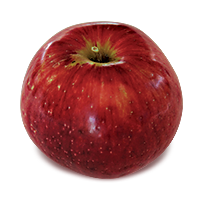 A late-season apple, it is moderately juicy. 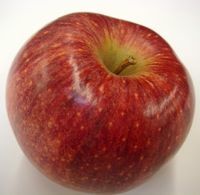 It is best as a fresh-eating apple, and it stores well. Spartan was developed by R. C. Palmer at the Pacific Agri-food Research Centre, then known as the Federal Agriculture Research Station. 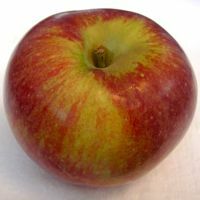 For years it was described as a cross between McIntosh and the American heirloom Newtown Pippin, but as a result of recent genetic testing, the latter has been ruled out, leaving Spartan’s second parent a mystery. 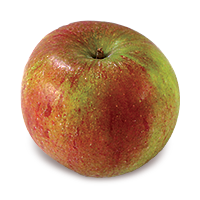 Ripening in mid- to late September, Spencer is a conical apple, nearly solid red-pink in color, with green highlights. 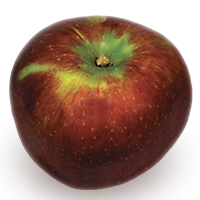 Its flesh is crisp, juicy, and more sweet than tart, though less sweet than its Golden Delicious parent (Spencer’s other parent — surprise! — is McIntosh). 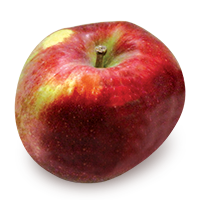 Spencer is an all-purpose apple, especially good in pies and sauce. It does not have a lengthy storage life. Spencer was also discovered by R. C. Palmer in 1926 — the same year as Spartan — but it took considerably longer, until 1959, for it to reach the marketplace. 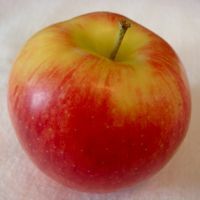 Before it had an apple-breeding program, Canada produced several heirloom varieties of note besides McIntosh — including one of McIntosh’s parents, Snow apple. Snow, also known as Fameuse (French for famous or excellent), is small to medium sized, red with green and pink striping. Its name is derived from its white flesh, which is sometimes stained red just beneath the skin. 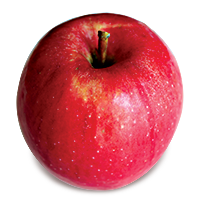 A late-season apple, Snow is crisp, juicy, and aromatic, more tart than sweet, with a slight strawberry flavor. 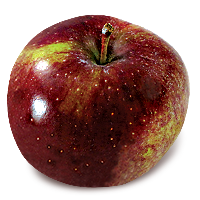 Snow is best for fresh eating and in cider, and it does not store well. 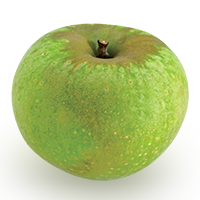 Snow contributes to McIntosh’s thin skin, white flesh, and sweet-tart flavor, and to the trees’ hardiness. Snow’s origins are unclear, but dates to at least 1730. Some accounts hint that it may be much older, and originated in France rather than Canada. 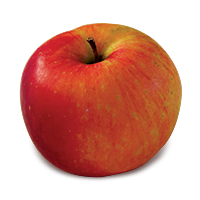 An apple named Snow was reported growing in Vermont’s Champlain Valley as far back as the early 1600s. 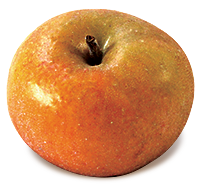 Pomme Grise, or Gray Apple, is a small, round apple with chewy, yellow-green skin covered with coarse brown russet. 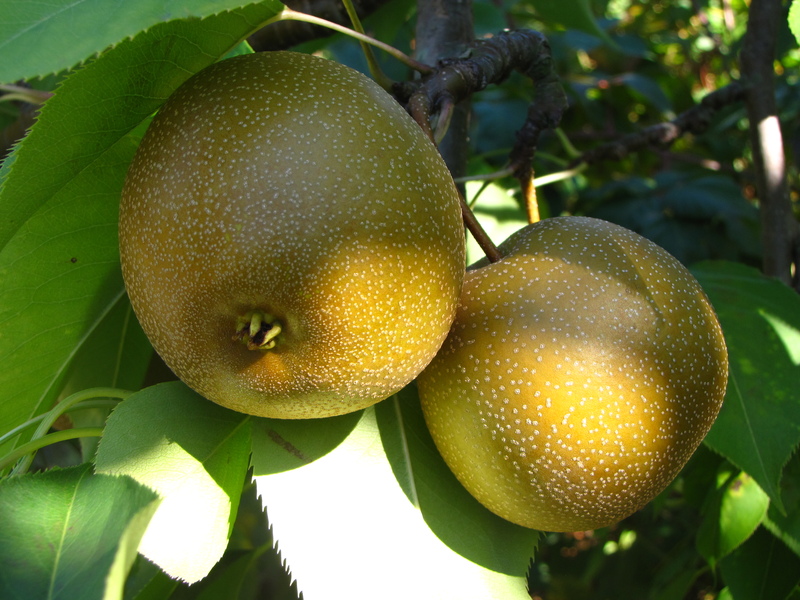 Its pale yellow flesh is firm, crisp, and aromatic, more sweet than tart, with a distinctive nutty, spicy flavor. 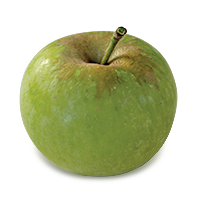 It is good for fresh eating, and especially valued for cider. 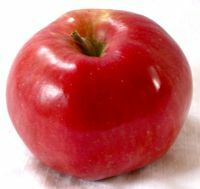 Pomme Grise was cited growing near Montreal in the early 1800s, eventually making its way south to New York’s St. Lawrence Valley, and from there to New England. 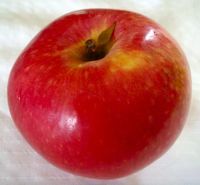 It may be related or identical to a 16th-century French apple called Reinette Grise. 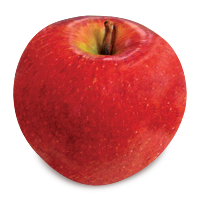 To find orchards that grow these apples, visit New England Apples and follow the link for “Find an Apple Orchard” to search by state or variety. 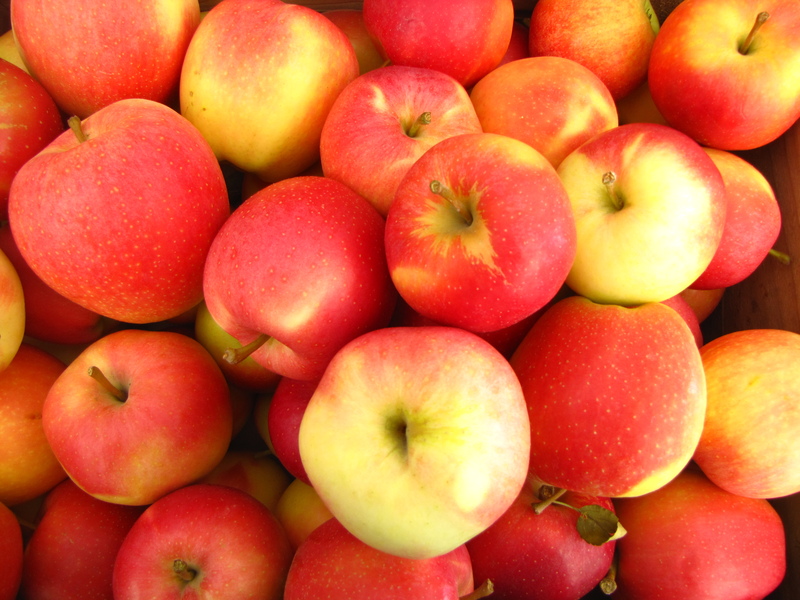 NEW ENGLAND APPLES will have an expanded presence in the Massachusetts State Building during the 17-day Eastern States Exposition (“The Big E”), which opens this Friday, September 12, continuing daily from 10 a.m. to 9 p.m. through Sunday, September 28. 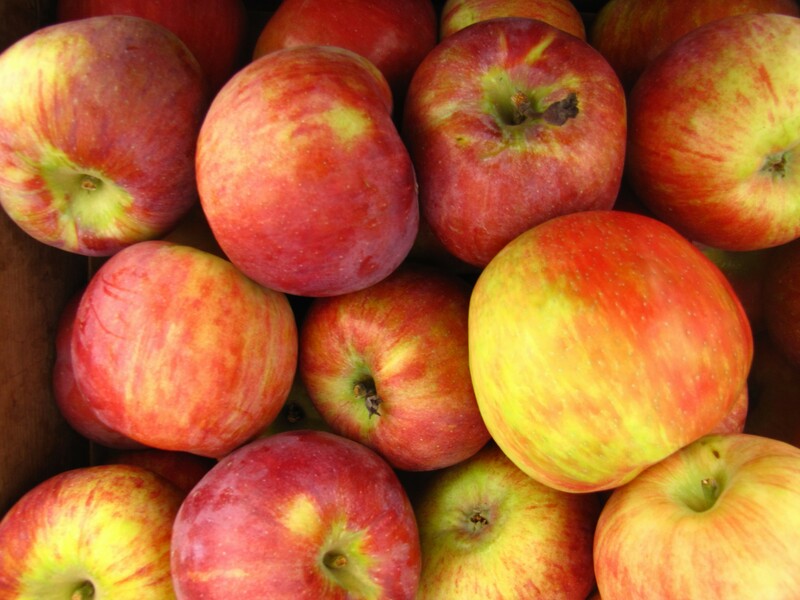 The Association is renovating a larger booth this summer to boost sales of fresh apples, fresh cider, cider donuts, apple pies, and other baked goods. 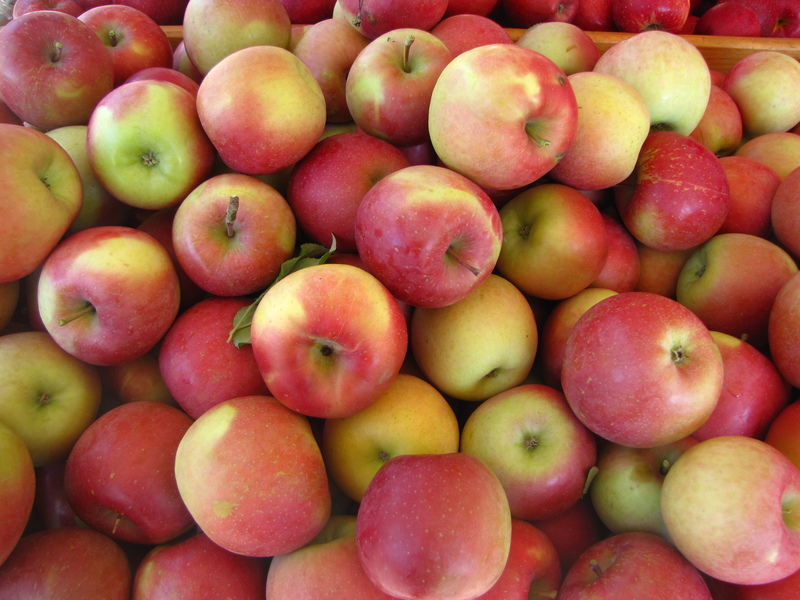 Fresh apples will be supplied by Massachusetts orchards: Atkins Farms in Amherst, The Big Apple in Wrentham, Brookfield Orchards in North Brookfield, Carlson Orchards in Harvard, Clarkdale Fruit Farms in Deerfield, Cold Spring Orchard in Belchertown, Nestrovich Fruit Farm in Granville, Pine Hill Orchards in Colrain, Red Apple Farm in Phillipston, and Tougas Family Farm in Northborough. 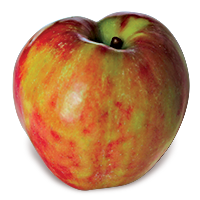 The booth will feature award-winning cider donuts made by Atkins Farms in Amherst, fresh, crisp apple cider from Carlson Orchards in Harvard; and fresh-baked apple pies and apple crisp made with apples supplied by Cold Spring Orchard in Belchertown. 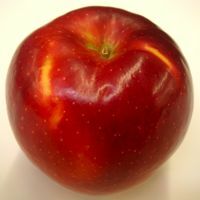 Executive Director Bar Weeks and Senior Writer Russell Powell will be on hand every day to meet with people and answer questions about apples. 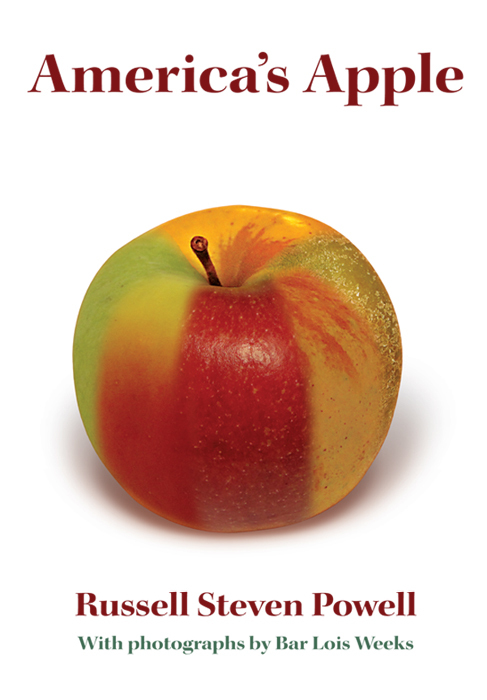 Their new book, Apples of New England, will be available for sale and signing, along with their first book, America’s Apple.